Saw this at my 76 station yesterday, new from my last fill up. I was on E and in a rush so had to fill up. Anyone run across this stuff and had any issues? Interesting. 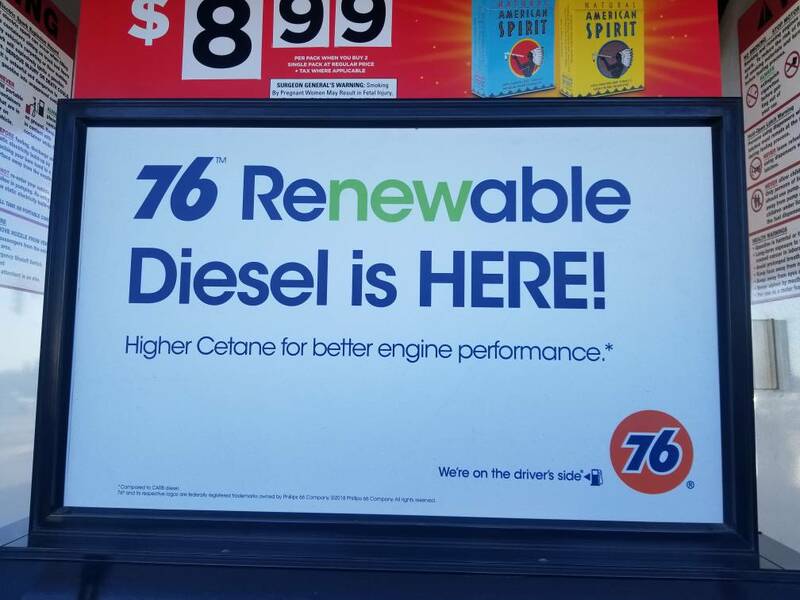 I put fuel in yesterday at my local 76 in California. Didn’t see that on the pump. shawclan5 and DrivingZiggy like this. shawclan5 and Dark-n-Stormy like this. Probably the same stuff as Propel. If so I’ve never had any issues. Now days just Costco diesel for me. New tanks, frequent turnover, cheapest for CA prices. DJL_57, RansomT, sourdo and 5 others like this. A local Zaxby's owner has an F250 that smells like fried chicken when it goes by...these systems have been around a long time. If this stuff is pretty much the same as Propel, that's great since Propel is very limited in avail.. I have to drive 35+ miles to a station.